Interesting little Serpentine heart carvings, measuring between 40-50MM across approximately. Lovely little Serpentine heart carvings, which measure between 40 and 50MM wide each. 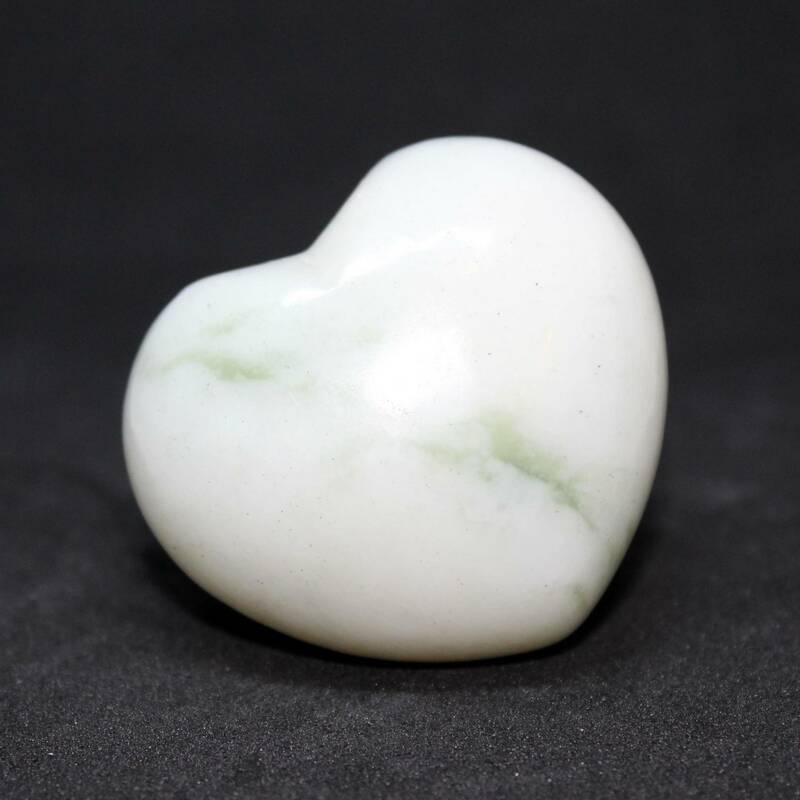 Serpentine is sometimes sold as ‘New Jade’. The colours can range from almost white to a deeper, leafy green. The piece pictured is almost white, with a green tinge – it also had a band of darker green. To find out more about the Serpentine mineral, or to see a full list of our related products, please see our main Serpentine page.